QQCute Digital Infrared Forehead and Ear Thermometer just $11.47! This deal is always super popular and sells out quickly. Great baby shower gift! 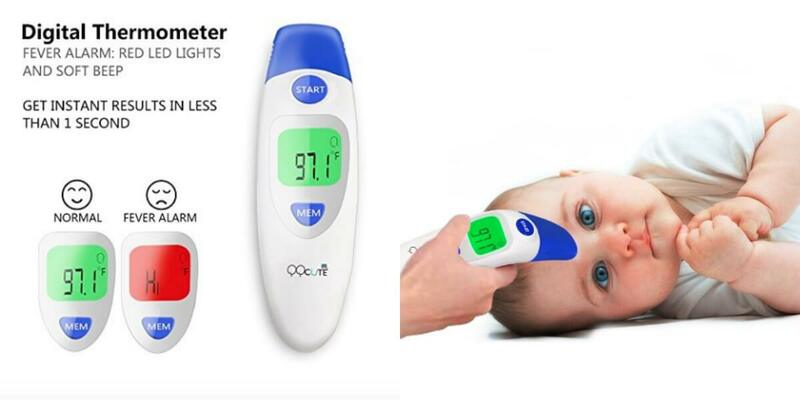 Get the QQCute Digital Infrared Forehead and Ear Thermometer for just $11.47 at Amazon after you clip $4 coupon and add code HPJAE8IQ Free Shipping! READINGS RETRIEVAL – Store and recall up to 20 readings. You can read it everytime.